During the month of February, The Savannah Tribune will salute outstanding African Americans and their accomplishments. Reverend Andrew C. Marshall was born a slave in South Carolina in 1756 and eventu- ally became pastor of First African Baptist Church and a successful businessman in Savannah. His journey to success in the city started in 1766 when he traveled here. Throughout a period of about 50 years, Marshall was owned by a few men. Maybe the most beneficial to him was Judge Clay of Bryan County. Marshall was afforded opportunities to travel north on official trips and was even able to be body servant to General George Washington in 1791. In 1812, after a brush with the law, Marshall brought his freedom, using money he had saved and a $200 loan from Richard Richardson. Marshall became the third Pastor of First Colored Baptist, which he later named First African Baptist Church. 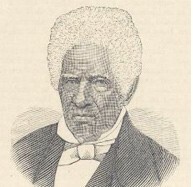 In 1826, with help from Lowell Mason, who was superintendent at Independent Presbyterian Church, Marshall organized the first black Sunday school in North America. When Marshall died in December 1856 there was no one who knew the exact age of him, but it is speculated that he was between the ages of 94 – 100. Marshall was well respected in both the Black and White community. With a successful dray business, he had many business contacts and associates that helped build his success. In his honor, there is now the Andrew C Marshall Walking Tour, which provides an in-depth look at the role slavery played in the downtown area.